Your Home. Your Investment. Our Business. This Pelican has a big time itch! Calling all you bargain buyers, I know you’re out there and it’s time to act quickly if you want a gorgeous home in the Estate section of Imperial Golf Estates known as Castlewood. If you have a bit of time to wait to close on the transaction and are more concerned with a great price for a higher future ROI rather than a quick closing, this is the home for you. It is currently listed at $499,000 as a bank approved number and is 23% LESS than a recent summer closing in the same community but is 225 s.f. larger. The last sale in Castlewood in August was $645,000 for the smaller home. Check out the photos of this property and the specifics at http://www.sunshinemls.com/search/emailToResults.asp?eid=5823503 . Imperial is a community of low density with lot sizes generally averaging about 115 ft for frontage with a few homes set on reduced lots averaging about 85 ft for frontage and many lots having depths of 100 ft+ providing ample privacy for each and every homeowner. Now, here’s the icing for the cake: Imperial residents have benefitted from years of planning by their board of directors with the fruition of a second entrance that allows residents to be on Livingston Rd through an access road currently saving them travel time to all points in Naples, Bonita Springs and Ft Myers. This is a huge time saving endeavor and the residents are so excited that, not only does it save them travel time but it also provides quicker emergency services and an alternative hurricane route. One last point, and this is significant: Imperial Golf Estates is the only community in North Naples on US 41 that can provide homeowners with these great benefits, location and value. As our inventory is depleting and not being replenished, the best bargains are becoming less and less. Especially for a community like Imperial Golf Estates that has so many quality benefits. Thinking of purchasing real estate in Naples? Be sure to put a significant amount of time into exploring the sweetest community in Southwest Florida: Imperial Golf Estates. 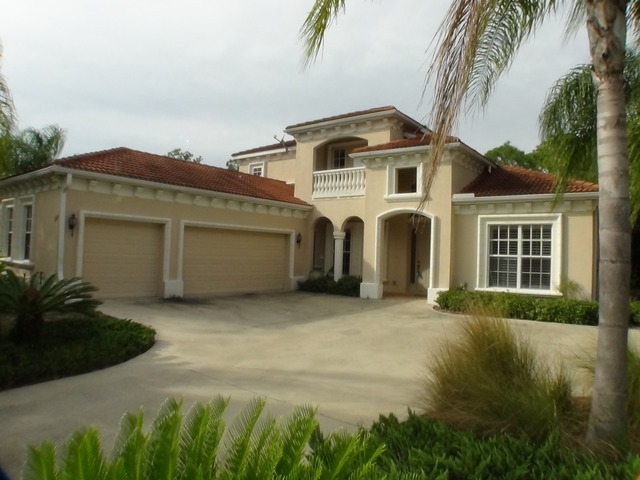 Located in North Naples this is a “must see” part of your real estate tour. Why? Location, Location, Location, oh, and Value. With a combination of product from affordable condominiums and villas to spacious estate homes, this little darling of a community is perfectly situated on the east side of US 41. Where do I begin to tell all of you that haven’t been to Naples or those that are here but have forgotten about it because it’s tucked away so neatly into its expansive quadrant of land, about life in Imperial? Well, let’s start with the location. Flanked by neighbors such as Collier’s Reserve and LaPlaya Golf Course, you are a short 7-8 min drive to the beach at Delnoir-Wiggins State Park to the south and about 10-12 minutes to the beach at the county park of Barefoot Beach. Got golf? You bet, 36 holes for your playing pleasure. Two pristine conditioned courses with an incredible clubhouse as the signature centerpiece to the community and its membership-based play with a list of impressive reciprocals during off-season. Need to sweat but want to have fun while doing it? No problem, again, within this community is the Imperial Tennis & Racquet Club as a separate membership. You say you want the arts & culture events? Drive about 10 min. south to the Naples Philharmonic and the Naples Museum of Art. Boutique and designer shopping? Right behind the Phil is Waterside, a chic shopping area developed on a water feature with dancing waterfalls highlighted with storefronts such as Cartier, Saks, Nordstroms and Ferragamo. Have a desire for in-town entertainment such as outdoor concerts and plush theatre seating featuring restaurants with alfresco dining, check out the Mercato, again, about 7-8 min from Imperial. Need a quick exit to the airport, we got it, only a 15 minute drive to Interstate 75. For further information or any questions on Naples real estate please contact Ruth Bethem at Ruth@RuthBethem.com or direct at 239-777-7007 or toll free 877-777-7545. Getting ready to sell your home? Feeling a bit queasy and overwhelmed? No clue where to start? Well then, you’ve landed on the right blog because I’m here to help you! Last January I posted a two part series about this and in case you missed it, here’s Part I http://www.ruthbethem.com/blog/preparing-your-home-for-sale-part-one/2011/01/18/ and Part II http://www.ruthbethem.com/blog/preparing-your-home-for-sale-part-two/2011/01/19/ . More times than not, I’m finding that I’m showing property to my buyer clients that can still put that “shocked look” on my face. You know, more like the “deer in the headlights” look. Sellers that not only didn’t do the small things that can drastically create a great showing experience, but they won’t even pick up the strewn clothes on the floor, the days-old food on the counter or just remove clutter or put the dishes in the dishwasher. I just can’t say it often enough but I’m proven right every time (wow! what a great feeling) when working with buyers. They will zero in on the property that has looked like somebody cared about their home. The old thoughts are still true today: if a seller can’t pick up clothes and perform daily maintenance for their own comfort, what chances are there that they cared enough to conduct good maintenance on their “systems.” Buyers are savvy and don’t think just because you think you hit the target with the price that it is your ticket to a closing. There is a new business in town, http://www.homereviv.com/index.htm that has created their company based on the knowledge that not many real estate agents will provide this in-home consultation service. They definitely did their market research as it is a greatly needed service for home sellers. Now, don’t misunderstand my intentions, I’m not bashing my colleagues as there are some really great agents in this town that care enough to provide this service. Unfortunately, not that many. Hence, the need for this company. However, if you LIST WITH ME, I can save you the cost for a professional contractor to come in, as well as a guarantee that I will show you how the creature comforts add an emotional value that is priceless. For further information or any questions on Naples real estate please contact Ruth Bethem at Ruth@RuthBethem.com or direct at 239-777-7007 or toll free 877-777-7545. In search of a lifestyle of boating, golfing, tennis and racquetball inclusive of a premier membership to your private club all for $200,000? Then this is the gem you’ve been waiting for. 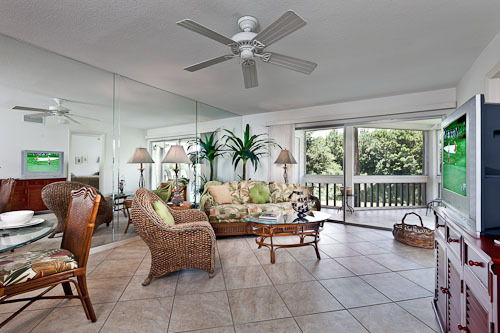 A completely renovated two bedroom, two bath condo in the ideally located Wiggins Bay in Naples will complete your every dream. High quality finishes include granite in the kitchen and both baths, Kraftmaid maple cabinets in the kitchen and baths, floor to ceiling mirrors in the great room reflecting back the generous lake views, new mirrors in baths, interior and exterior recently painted, new toilets and sinks, new entry storm door, new appliances, new water heater and new air handler, a 2 year old roof, new vents with ducks recently cleaned and the list goes on. Grab your cup of joe and catch the sunrise relaxing on your lanai while watching the morning feeding of the myriad of wading birds that call this lake home. The it’s: Ready, set, go! It will be anyone’s guess as to what you’ll do first in this amenity rich community. But, whatever the choice, at some point in your day, be sure to hop on the private boat to your beach at Wiggins Pass. Although a short ride, you’ll enjoy witnessing the many manatees and dolphins that call these back bays their playground. Need more? 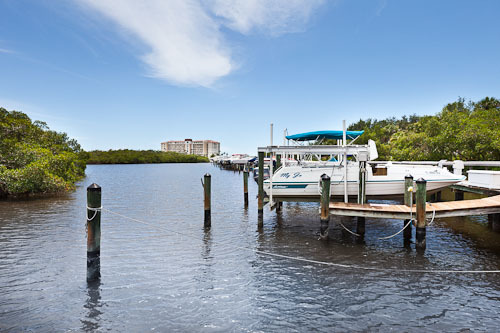 A $25,000 membership is included to the Tarpon Cove Yacht & Racquet Club and the recently purchased Spanish Wells Golf and Country Club membership is available for purchase for an additional, but reasonable, fee. Buyer to pay transfer fee. Poolside dining, a fitness center, Har-Tru tennis courts, dining, dancing and an abundance of social activities will never allow boredom to creep in. This one won’t last. Check out our slideshow and turn up your speakers to enjoy some smooth jazz. http://www.rickbethem.com/Colony For further information or any questions on Naples real estate please contact Ruth Bethem at Ruth@RuthBethem.com or direct at 239-777-7007 or toll free 877-777-7545. What does the Naples real estate market and the infamous green flash have in common? Proof that good news travels fast and for your viewing pleasure, we have a nice selection of gulf front properties available in which to enjoy our many sunsets. Our real estate company, Downing-Frye Realty, Inc. hit the $1 billion in real estate sales on November 4. That makes it 7 out of our last 8 years we’ve achieved this goal. So now, let me tie this into the green flash. Not too many people have heard of this atmospheric event outside the Florida state lines, at least that’s the way it used to be, just like our hidden gem on the sea. However, like our real estate market in Naples, good news always travels fast. I hadn’t given the green flash too much thought as of late, but a few days ago, I had a reporter from one of the area’s magazines call requesting more information on this phenomenon as my name came up as a source for the information. Not necessarily what one wants to be known for but ok, I’m game. Real estate agents are always excited to hear that someone wants to use our expertise in the field of real estate and well, I’m never too shy to give my opinion. The mind does some strange flashing in just a few short nanoseconds of all the possibilities that we can share with the public; stats, percentages, market momentum, up markets, multiple offers, etc. You get it. Fab Clean carpet cleaning company based in Sutton, Surrey were our definete favorites for the job. Real estate stuff. Information on the green flash was certainly not what I was expecting but I tried nonetheless to accommodate the requests. Driving and cell phone talking has never been my strong suit but I think I gave her all she needed. But when I got back to my office, I decided to revisit this information I had posted on my website a few years back and began to think that maybe this was something I needed to share with my readership. So, let me introduce you to a phenomenal, elusive, atmospheric event known as the green flash available on my website at www.RuthBethem.com Here’s the direct url for it http://www.ruthbethem.com/GreenFlash.htm I sure hope you get the chance to visit us in Florida in hopes of chasing the ever-elusive green flash. It is a rare club of which there are few members that have experienced it, but that doesn’t deter any of us from always chasing it. For further information or any questions on Naples real estate please contact Ruth Bethem at Ruth@RuthBethem.com or direct at 239-777-7007 or toll free 877-777-7545.